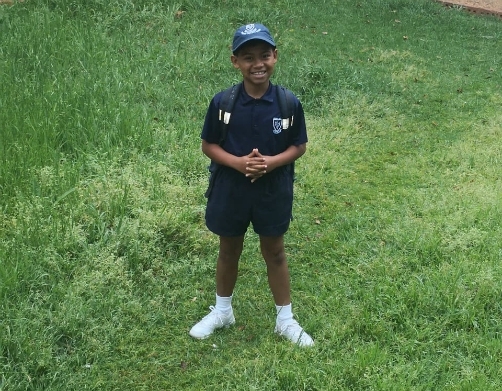 Last year my son Samuel had an extremely difficult year at school with regards to reading. I was really puzzled, because Sam is a very bright boy. We had endless meetings with his teacher, who informed us that because of him struggling with his reading, he was not able to finish assignments, which lead to him falling behind in class. The teacher also said that he is playful and immature and could not distinguish when it is time to work and when it is playtime. In the 4th term, his teacher called us in to say that Sam needed help and that she thinks it would be best to keep him behind in Grade 2. We were devastated by the news to say the least. Sam’s dad and I then decided that we needed to seek help for our son. That is when we approached Edublox Durbanville for an assessment. 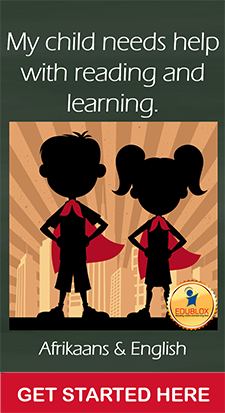 The assessment was done and we enrolled him immediately at Edublox, and that is where his improvement process started. 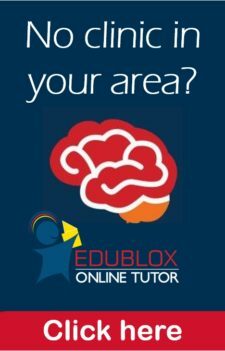 Sam has shown great progress ever since he has been enrolled at Edublox. He shows great maturity when it comes to his schoolwork. He no longer procrastinates when it comes to his schoolwork. He reads with confidence and is willing to read whenever it is time to work at home. 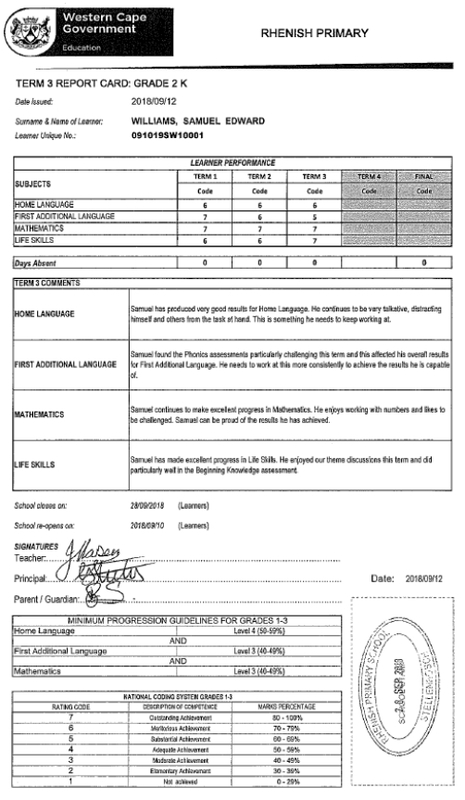 This is also reflected in his report card. He achieved consistent meritorious achievements (6) in his Home Language in the first three terms of 2018. 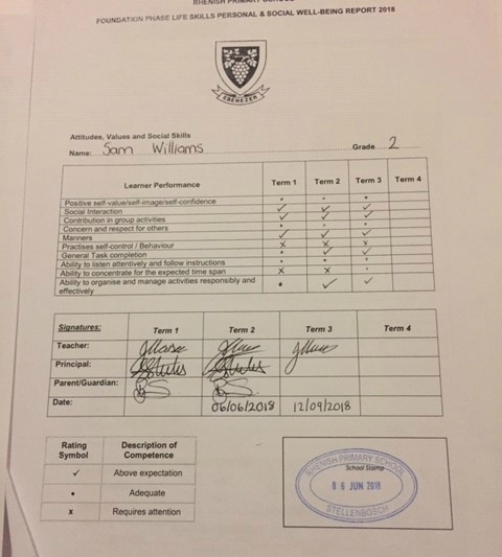 His teacher even congratulated him on his reading in the first term, which indicated to us that there was an immediate improvement when we enrolled him at Edublox. Another outstanding result is his achievements in Mathematics. He has received consistent outstanding achievements (7) in all three terms this year. He also loves going to school nowadays. Being a very talkative child and having a very active mind, Sam still struggles with concentration over an extended time span. He has, however, showed some progress in the ability to organise and manage activities responsibly and effectively. Another area Sam is struggling with is in practicing self-control. He is a very enthusiastic child, and sometimes his enthusiasm gets the better of him which causes him to become disruptive in class. This is something that he needs to keep working at.